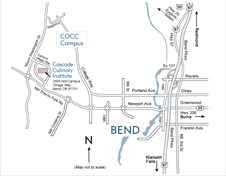 Cascade Culinary Institute (CCI) would like to encourage students to apply for scholarships, as this is a creative way to fund their education. Scholarships are currently available through the Elevation Gratuity Scholarship Fund (Fall only). Students are highly encouraged to complete the FAFSA Free Application for Federal Student Aid process prior to applying for scholarships. Applications are required to be submitted via the COCC Foundation scholarship web. For more information email us at info@cascadeculinary.com.